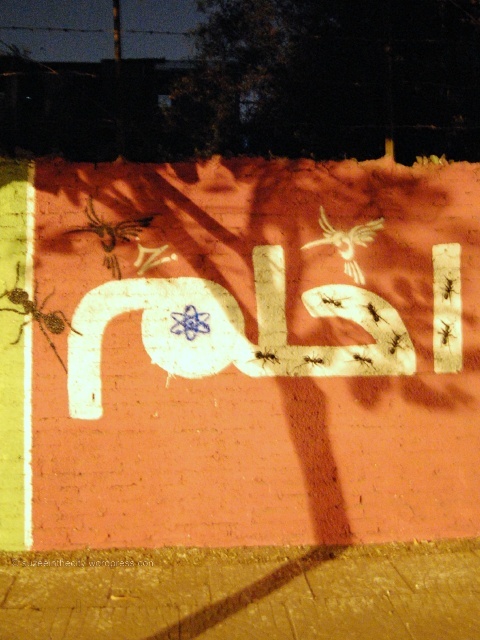 ← Cairo Graffiti -For Whom Exactly? I think I prefer the streets of Cairo to its people. 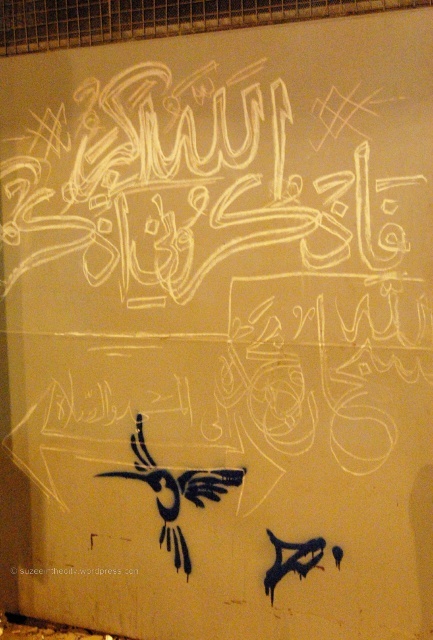 After the hours of fuming traffic and deafening horns, hostile faces watching and asking questions, I’m finally left in peace after midnight, standing on an empty side street under the orange lamplight, photographing new pieces of graffiti.Cairo looks, feels and even smells different at night. There’s something mysterious, whimsical and exciting about its empty roads, humid July breeze and misty rooftops. The streetlights help me spot new graffiti as I drive through the neighbourhoods, leading me to refreshing new pieces like these below. 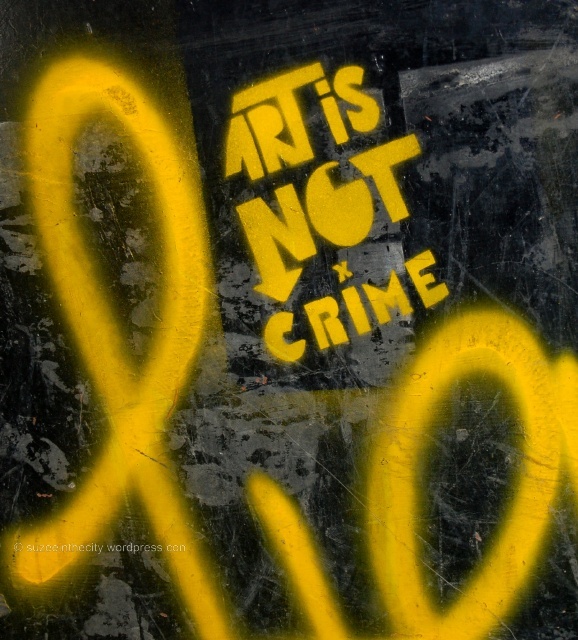 ‘Art is not a Crime’ pretty much summarizes everything I’ve wanted to say to anyone who doesn’t like the current graffiti trend. With so much going wrong in the country, the least we should fear is a group of individuals spraying walls, turning something mundane or ugly into something beautiful, or at least entertaining. Take Keizer’s graffiti over the Pepsi wall mural on Abul Feda. It’s infuriating that a major corp. Pepsi, like Coca Cola and Mobinil, decided to tap into the growing graffiti trend by skipping massive billboard costs and painting a wall instead with its ad campaign message. So Keizer and fellow graffiti artist Zook stenciled their way through the whole wall mural with hummingbirds, ants and the Keizer atom symbol. It’s a tiny but relevant form of payback; if the corps think they can play on the graffiti artists’ turf and paint walls, they’ll have to play by the graffiti artists’ rules, which is: you paint. We paint over. You paint over us. We paint over. We have all the time in the world. We’re not going anywhere. 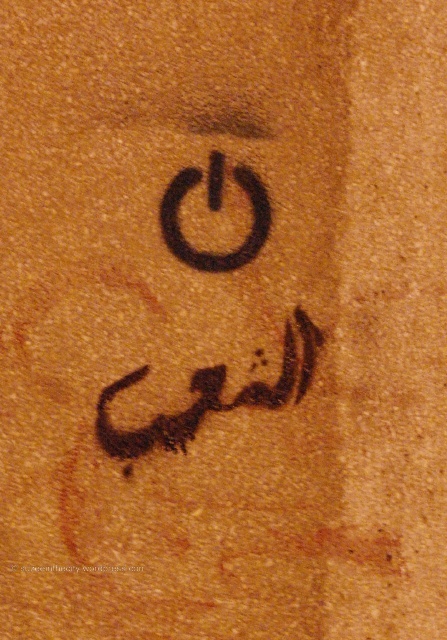 Sometimes the smallest graffiti pieces are the most poignant, and this one on a wall in Tahrir square is a perfect example: Power to the People. Or it could be Power of the People. Or it could be ‘turn the power on for the people’. That’s what I love about graffiti, five people can stare at the same graffiti and walk away with five different interpretations. And every one of them is right. As simple as it gets. The power button and the people. 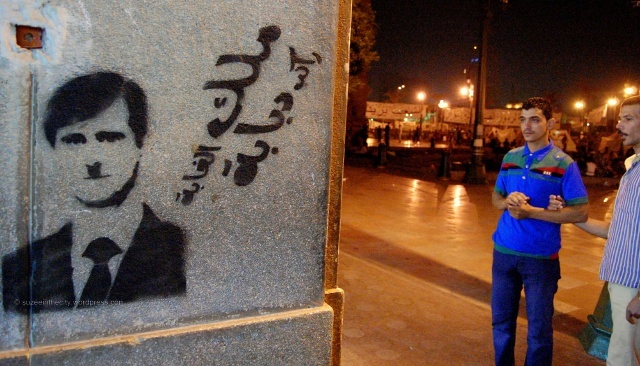 Appropriately on the walls of Tahrir. Pepsi wall mural on Abul Feda Street, ‘beautified’ by graffiti artists Keizer and Zook. 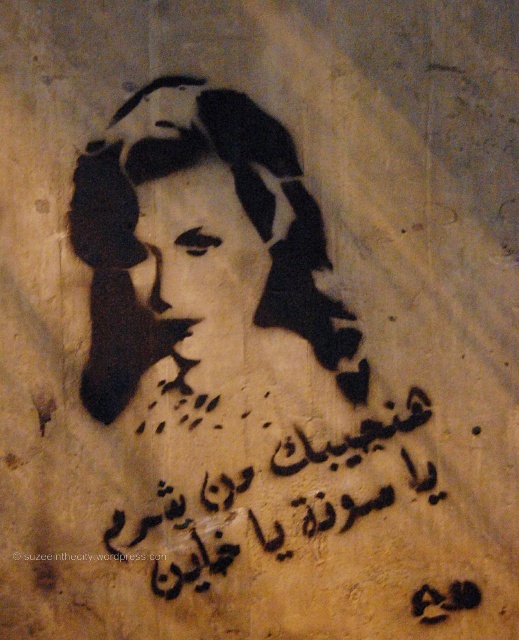 This entry was posted in Street Art Fascination and tagged Art, AUC, Bashar El Assad, Cairo, Coca Cola, El Teneen, graffiti, Hend Rostom, Hosni Mubarak, Hummingbird, Jungle, keizer, Mobinil, mural, Nazi, People, Pepsi, Power, Sharm El Sheikh, street art, Syria, walls, Zook. Bookmark the permalink. Suzee in the city, how can I contact you more directly – I am trying to find out how to present some of this graffitti art at a conference where there might not be an internet connection. The conference is in one week in Istanbul. Could you please email me and I will tell you more about it. Thank you. Love your documentation.